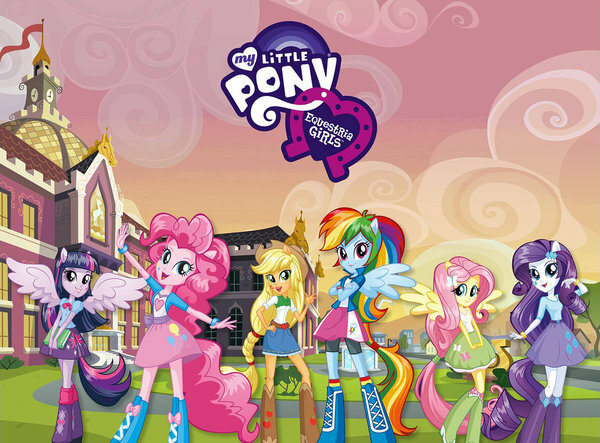 I was doing a search for a CBR article I am writing on the upcoming My Little Pony: Friendship is Magic movie, Equestria Girls, when I found it will be showing here in Chicago at the Music Box Theatre for three special events. So, fellow Chicago natives, who wants to join me and crowd out the kids in the theatre! When a crown is stolen from the Crystal Empire, Twilight Sparkle pursues the thief into an alternate world where she transforms into a teenage girl who must survive her biggest challenge yet… high school. So the pony who had to unite her fellow ponies to take down Nightmare Moon and Discord is finding her biggest challenge yet — in high school? Here is Hasbro, in their attempt to bring in an older (but not the older audience already watching the show) teenage girl audience by trying to identify with what they assume is the biggest challenge those teenage girls face: dealing with the social mores of high school. As if the biggest challenge a girl has to face in life is to fit in and be liked. This is blatantly playing up stereotypes of teenage girls that the media and pop culture has been feeding us for decades, and indeed going against the spirit of My Little Pony, which has been rather good at breaking stereotypes, which has led it to have appeal across the genders and generations. The idea that surviving high school is the biggest challenge a girl can face — just, ugh. Yes, it was there in Buffy the Vampire Slayer, but at least in that series they used the monsters as metaphors for surviving high school, and did not outright call high school itself as Buffy’s greatest challenge. Hopefully this movie will have the same types of metaphors — but given that there is a “mean girl” rival for Twilight Sparkle in the trailer, along with a competition to be princess of the prom or whatever, I rather doubt they will manage such subtlety. UPDATE: Also, there is an exclusive look at the movie from Entertainment Weekly. How does one get tickets? What are the dates?